The Bakery Traveler: Arnold, Dahling! I'm referring to the Arnold Palmer. Not so much the guy as a golfer, but as an iced tea drinker. 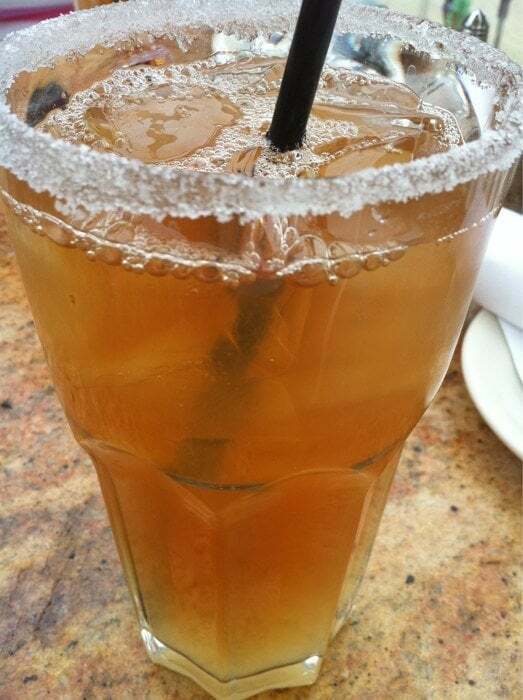 It is my duty to tell you about this iced tea lemonade concoction just in case, like me, you are a late bloomer, and had no clue about its existence until your dad ordered one at a Cheesecake Factory this one time, and you were like, "Hey, dad, what's that you're drinking?" And he tells you it's an "Arnold Palmer," with a tone that says, "My grown daughter is so strange and doesn't even know what an Arnold Palmer is." So, I drink his, because, duh, he's my dad, so why wouldn't I gulp the drink he just ordered for himself? He then orders another one for himself, with a bit of an attitude I might add. I am too old to be doing these things, apparently. But whatever. Am now a big fan of a good Arnold Palmer.